It's a big date in Gettysburg, a town which is fully focused on three days in July 151 years ago - plus one in November. And so it should be: half an hour in the excellent Visitor Centre is enough to put the most ignorant newcomer in the picture, thanks to an eminently clear film narrated by Morgan Freeman (does anyone else ever get to do voice-overs these days?) and the marvel that is the Cyclorama, an immense circular oil painting, the IMAX of its day. They put the Battle of Gettysburg clearly in its place, historically, and give Pickett's Charge its due as the dramatic, tragic and costly turning point of the Civil War. Having arrived with only the vaguest idea of what happened, I now feel I could score at least a B+ on an exam essay on the subject. Visiting Gettysburg is a kind of inescapable multi-media educational experience: I heard the story from a costumed guide in a house just off Lincoln Square; I rode over the battlefield on a horse, seeing the terrain from the same angle as Generals Meade and Lee; I walked from the Soldiers' National Cemetery along Seminary Ridge, the monuments blushing in the Golden Hour; I watched a sound and light show over an amazingly detailed diorama; and I eavesdropped on battlefield tourists discussing the event in impressive depth. In fact, there are so many stories, you would never hear them all, and each one vivid and personal. Lincoln is huge, of course. I stood in the bedroom where he polished the scant 10 sentences of his address at the dedication of the cemetery: it's everywhere, too, on bronze plaques, succinct and so familiar, even to me from the other side of the world. No wonder the town is so proud of its history. 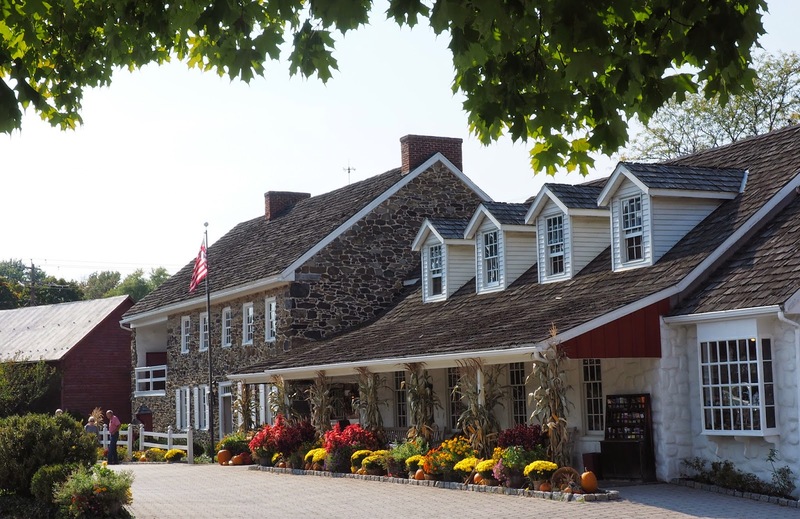 There's more to Gettysburg than the battle and the Address, however: it's gorgeously pretty, there are diverting shops and inviting pubs and restaurants; and apparently beyond the town in the equally gorgeously pretty countryside there are apple orchards and wineries. At the Wyndham Hotel, in the friendly and lively company of other travel writers, I ate deep fried chicken skins as well as healthier (and more delicious) dishes, with New Zealand wine, and afterwards the inspired dessert of an apple crumble topped with macadamia cookie dough; and excellent French onion soup at the Dobbin House Tavern, with its secret cupboard for hiding fugitive slaves on the Underground Railroad. They're not so focussed on 1863 there, though: pft, that's almost yesterday. This house was built in 1776. No. You aren't serious. Just the SKIN? I live in the least healthy part of the country and no one would think of serving you just the skin. I've been known to eat just the skin but that's in shame and secrecy. To think someone might put that on a menu!